Analysis: Antibiotic Apocalypse – Is The End Nigh? A terrible future could be on the horizon, a future which rips one of the greatest tools of medicine out of the hands of doctors. A simple cut to your finger could leave you fighting for your life. Luck will play a bigger role in your future than any doctor could. The most basic operations – getting an appendix removed or a hip replacement – could become deadly. Cancer treatments and organ transplants could kill you. Childbirth could once again become a deadly moment in a woman’s life. It’s a future without antibiotics. This might read like the plot of science fiction novel – but there is genuine fear that the world is heading into a post-antibiotic era. The World Health Organization has warned that “many common infections will no longer have a cure and, once again, could kill unabated”. 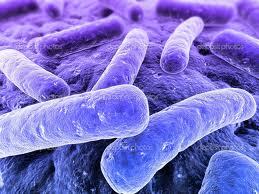 The US Centers of Disease Control has pointed to the emergence of “nightmare bacteria”. And the chief medical officer for England Prof Dame Sally Davies has evoked parallels with the “apocalypse”. Antibiotics kill bacteria, but the bugs are incredibly wily foes. Once you start treating them with a new drug, they find ways of surviving. New drugs are needed, which they then find ways to survive. As long as new drugs keep coming, resistance is not a problem. But there has not been a new class of antibiotics discovered since the 1980s. This is now a war, and one we are in severe danger of losing. Antibiotics are more widely used than you might think and a world without antibiotics would be far more dangerous. They made deadly infections such as tuberculosis treatable, but their role in healthcare is far wider than that. Surgery that involves cutting open the body posses massive risks of infection. Courses of antibiotics before and after surgery have enabled doctors to perform operations that would have been deadly before. Cancer treatments such as chemotherapy and radiotherapy can damage the immune system. A course of antibiotics is prescribed to provide a much-needed boost alongside your body’s own defences. Anyone with an organ transplant faces a lifetime of drugs to suppress the immune system, otherwise it attacks the transplant, so antibiotics are used to protect the body. “It’s a pretty grim future, I think a lot of major surgery would be seriously threatened,” said Prof Richard James from the University of Nottingham. And this, he says, is what running out of drugs for tuberculosis would look like in the future. But this is all in the future isn’t it? He noticed that mould growing on his culture dishes had created a ring free of bacteria, he’d found penicillin. It was the stuff of Nobel Prizes, but in 1945 the spectre of resistance was already there. In his winner’s lecture he said: “It is not difficult to make microbes resistant to penicillin in the laboratory by exposing them to concentrations not sufficient to kill them, and the same thing has occasionally happened in the body. “The time may come when penicillin can be bought by anyone in the shops.